Buying a bike is always a real thrill for a biker. Working out what each model offers and what you can get for your money is far more exciting for bikers than buying a car is for your average motorist. It is usually a well-considered process for most riders. Occasionally it’s love at first sight while for others, such as despatch riders and commuters, it can be a quick purchase for practical reasons. In this guide we take you through what to look for when purchasing a new or used bike, the best way to find the right bike for you and how to make sure you get a good deal. 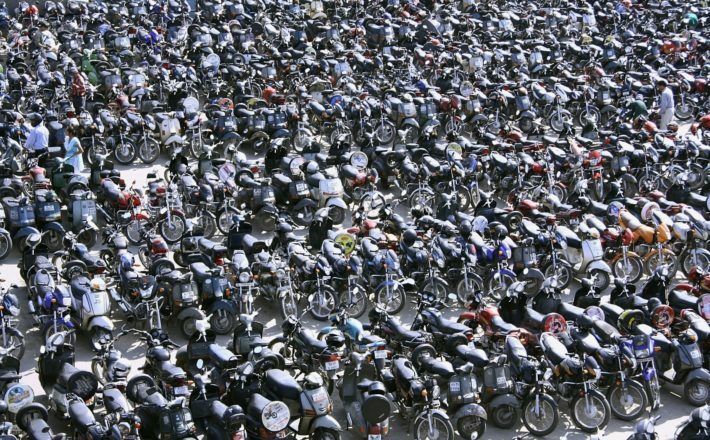 A big decision in this process is determining whether to opt for a new or a used bike. Depending on your budget it can be worth looking at new, end of year discounts, or pre-registered bargains. You can then better weigh up your options and not rush into spending over the odds for a new bike, or finding yourself lumbered with a used bike that turns into a money pit. Once you’ve decided which model you want, the next biggest factor is likely to be price, so set yourself a budget and try to stick as close to this as possible — it’s very easy to get carried away! Once you have a figure in mind start searching for the model you are after. Obviously new bikes are more expensive, but then being the first to own it and taking delivery of a bike in perfect condition is a thrill some bikers are happy to pay a premium for. And while the initial cost may be high, a new bike will come with a warranty and the peace of mind that the bike has not been mistreated or worse, bodged after an undisclosed accident. Another factor to consider when purchasing a new or used bike will be the method of payment. For a used bike it is usually the norm to pay in cash or one sum. However, when purchasing a new bike you may have the option of a finance deal where you can pay the screen price in instalments (usually monthly for 24-60 months). Check out our guide to Buying a New Bike for more information. As with most things in life, you generally get what you pay for when buying a motorcycle. 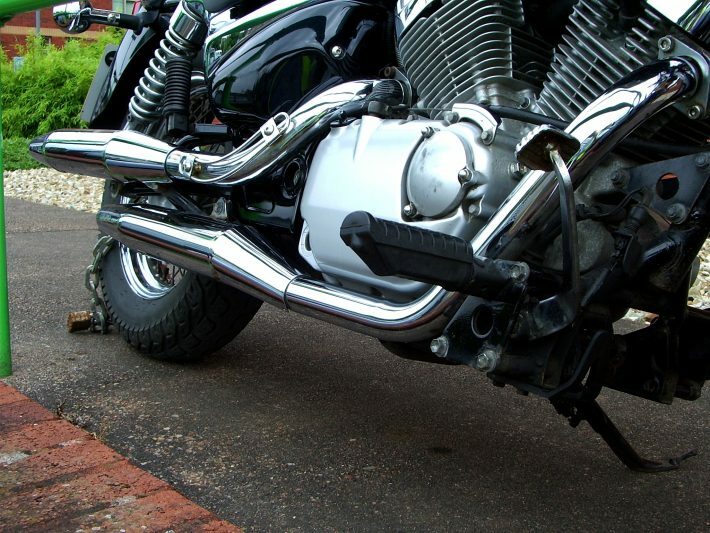 If you’re spending next to nothing on an old bike, then factor in potential costs, such as suspension and brake system servicing — if the bike’s cheap enough it could still be a bargain. If you’re shopping at the top end of the market, then you can expect everything to be in perfect condition and for the bike to be 100% reliable. When searching the used bike market, factors such as high mileage or damage to the frame will bring the price down, while certain modifications (so long as they’re not detrimental to the bike’s performance and/or compromise the bodywork and frame) may increase price. Be sure to read our guide to Buying a Used Motorcycle and then go through the relevant checks to ensure the bike is worth the asking price. Although a new bike will be more expensive, the cost of maintaining a used bike and keeping it in good, working condition can prove costly. In most cases, new bikes will come with a manufacturer’s warranty, usually for 12 months. This will cover any fundamental, non-service item issues but you’ll still need to pay for servicing — the cost will depend on the mileage you rack up. There’s a certain amount of sense in buying new if you can afford it, and can even work out cheaper in the long run if you end up saddled with a used bike chock-full of hidden problems. While a new bike will come fresh from the crate with zero miles showing, the older the bike, the more miles you would expect to see on the clock. 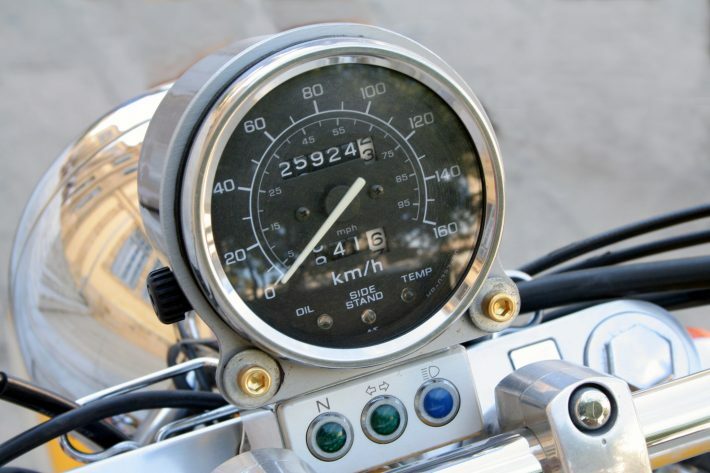 This affects the price and more than likely service costs of the bike; the more miles showing on the clock, the more likely it is that the bike will need some money spent on wear and tear items, such as suspension linkage and wheel bearings, brake overhauls, etc. The old rule of thumb was an average annual mileage of 3,000. These days it’s pretty much half of that. So, for example, a 10-year-old bike should have fewer than 30,000 miles showing. Although a used bike may be in worse condition and have more miles on the clock, a new bike will depreciate far quicker. This is pretty much down to the fact that the thrill of being the first owner and the first to put miles on the bike has gone — meaning the second you ride away from the showroom forecourt, it has already taken quite a hit on depreciation — up to 10% of its original price. A used bike will hold its value much better in percentage terms — indeed some older bikes ‘bottom out’ in price so it’s even possible to get back what you paid for it (sometimes more if the bike in question becomes rare or collectable) so you could essentially end up with free motorcycling if you’re lucky. This means that if you are considering a bike ride for the short term, just to gain experience, you should always go for a used bike. You won’t be quite so precious about the odd scratch and will get a much better resale value when the time comes to move it on to make way for a replacement. But if money’s no object and you simply have to have the latest machinery, then lucky you — buy new!